John, this is a fine review of a fascinating novel. Many thanks... I confess not having heard of the author or his work. Weaving events of WWII into the story and, by extension, into the murder case must make reading of this book more interesting. 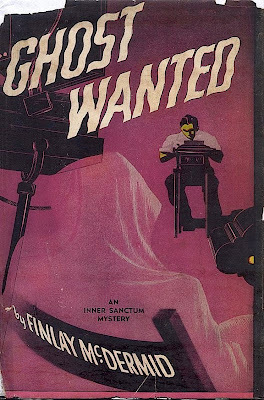 Ghost detectives must have been an original idea at the time McDermid wrote this book. The Pearl Harbor portions and the screenwriting techniques truly make this a unique book in the world of Golden Age detective fiction. Boucher's raves were numerous and he even cited it as one of the best mysteries of 1944. Well worth tracking down. I'm eager to read SEE NO EVIL now. Terrific review John - this book sounds really great, especially as I am a big fan of Hollywood lore involving screenwriters (blame SUNSET BOULEVARD) - and by an amazing stroke of coincidence, I was just watching THE BOUNTY HUNTER on TV earlier today! How about that for synchronicity? I really will have to try to track this one down too - you're a devil, but I'm grateful sir! That is crazy about THE BOUNTY HUNTER! I'm itching to find a copy of that movie over here. The only DVD that shows up for sale is a version subtitled for Spanish audiences. I want to see anything that McDermid did for the screen. Finding *anything* is proving to be very difficult. For the past few weeks I've been on a Roy Huggins kick. I watched HANGMAN'S KNOT (superb western with a top notch), THE LADY GAMBLES (melodramatic casino addiction programmer with Barbara Stanwyck and Robert Preston as her long suffering husband) and the best of the lot -- PUSHOVER (Fred MacMurray doing a sort of Walter Neff turned cop role and Kim Novak in her screen debut)Iplan to reveiw PUSHOVER next Tuesday for Todd Mason's Overlooked Films meme. 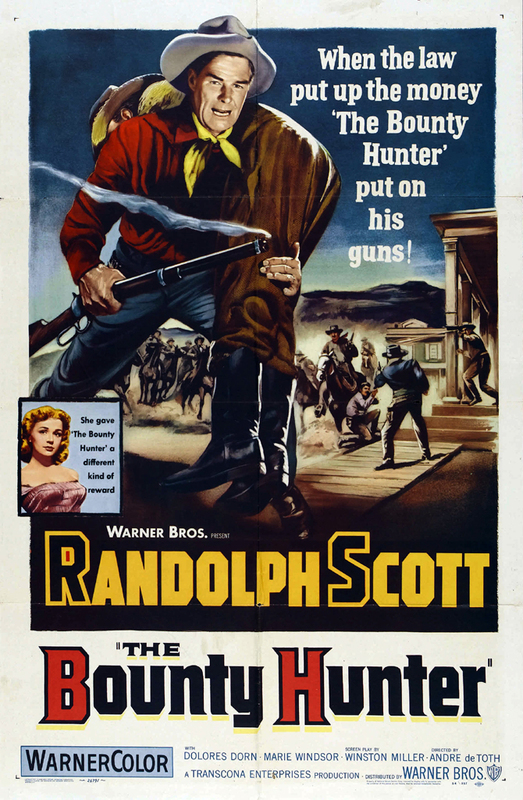 Yeah, HANGMAN'S KNOT and PUSHOVER are terrific movie - I haven't seen THE LADY GAMBLES though, I envy you that one. According to Colin over at his excellent blog RIDING THE HIGH COUNTRY (http://livius1.wordpress.com/) the subtitles on the Spanish DVD can at least be disabled. PS - John, did you ever receive that email I sent you re: BOUNTY HUNTER on DVD?